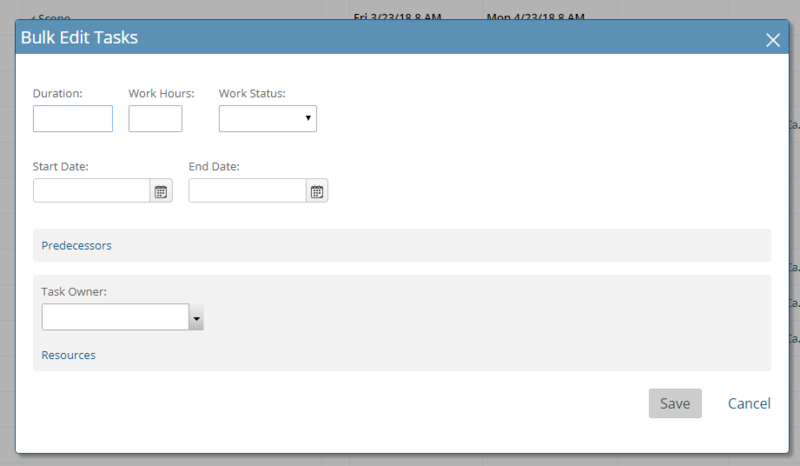 Project Managers and PMO Managers now have the ability to update multiple tasks at once using the new Bulk Task Editor. 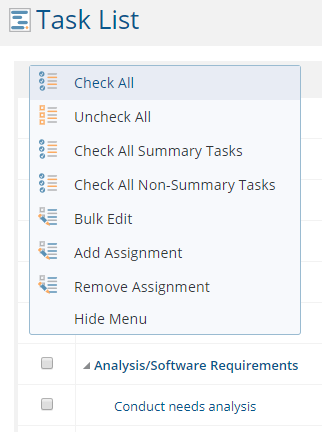 Take a look at the far left on every Task List - does not matter which columns you current display - the Bulk Edit options are always available on the left. As the Tasks change, you'll see the list update on the layer - Hit "Done"
This feature should save Project Managers time when changing multiple tasks at once.